Contemporary Liver Transplantation provides a comprehensive review of the most crucial and provocative aspects of liver transplantation. 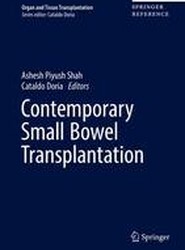 It represents a unique source of information and guidance for the current generation of transplant surgeons that evolved from being pure clinicians into savvy administrators knowledgeable in every regulatory aspect governing transplantation. The book contains 35 chapters covering every single aspect of the surgical operation in the donors as well as the recipients of liver transplants. The pre-operative work-up, as well as the post-operative immunosuppression management and the treatment of recurrent diseases are addressed in detail. Single chapters are dedicated to controversial issues like transplantation in patients diagnosed with NASH, transplantation for patients diagnosed with HCC beyond Milan criteria and usage of HIV positive donors. 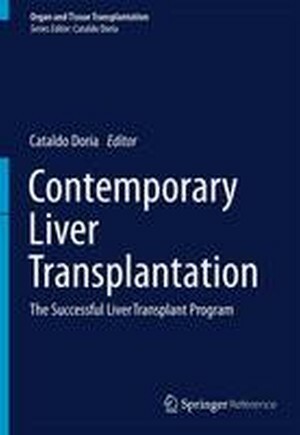 Dedicated chapters on HCV, HCC, FHF and NASH will make this book a unique resource for any health care provider part of the multidisciplinary liver transplant team. The book goes beyond the analysis of the formal medical and surgical aspects of liver transplantation and introduces deep knowledge on key aspects of contemporary transplant programs, such as: physical rehabilitation, palliative care, pregnancy, the multiple requirements of regulatory agencies ruling transplantation, quality measurements for transplant programs, finance and liability. The book is organized in 9 sections focusing on each key aspect of liver transplantation. Contemporary Liver Transplantation addresses the need and the questions of the multidisciplinary group involved including surgeons, Hepatologists, anesthesiologists, infectious disease specialists, radiologists, transplant coordinators, financial specialists, epidemiologists and administrators. Contemporary Liver Transplantation provides a comprehensive review of the most crucial and provocative aspects of liver transplantation. 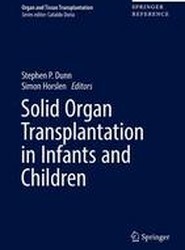 It represents a unique source of information and guidance for the current generation of transplant surgeons that evolved from being pure clinicians into savvy administrators knowledgeable in every regulatory aspect governing transplantation. The book contains 35 chapters covering every single aspect of the surgical operation in the donors as well as the recipients of liver transplants. The pre-operative work-up, as well as the post-operative immunosuppression management, and the treatment of recurrent diseases are addressed in detail. Single chapters are dedicated to controversial issues like transplantation in patients diagnosed with NASH, transplantation for patients diagnosed with HCC beyond Milan criteria, and usage of HIV positive donors. 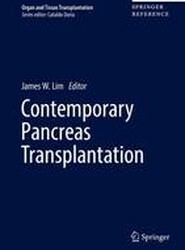 Dedicated chapters on HCV, HCC, FHF, and NASH will make this book a unique resource for any health care provider part of the multidisciplinary liver transplant team. 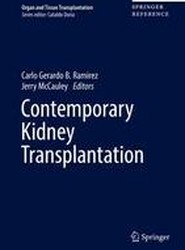 The book goes beyond the analysis of the formal medical and surgical aspects of liver transplantation and introduces deep knowledge on key aspects of contemporary transplant programs, such as: physical rehabilitation, palliative care, pregnancy, the multiple requirements of regulatory agencies ruling transplantation, quality measurements for transplant programs, finance and liability. The book is organized in 9 sections focusing on each key aspect of liver transplantation. Contemporary Liver Transplantation addresses the need and the questions of of the multidisciplinary group involved including surgeons, Hepatologists , anesthesiologists, infectious disease specialists, radiologists, transplant coordinators, financial specialists, epidemiologists and administrators. Section 1, historical prospective.- History of liver transplantation.- Section 2, the operation.- Orthotopic liver transplantation.- Organ procurement.- Live donor liver transplant.- Split liver transplantation.- Combined transplantations.- Section 3, anesthesia management.- Anesthesia management of liver transplant.- Section 4, transplant hepatology.- HCC.- NASH.- Fulminant hepatic failure.- HCV.- Other viral diseases.- Section 5, infectious disease, immunology and pathology of liver transplant.- Infections and sepsis after liver transplantation.- The immune system.- Pathology.- TIPS.- Section 7, basic science in liver transplantation.- Xenotransplantation.- Stem cells and liver failure: a new horizon.- Section 8, special topics.- Pediatric liver transplantation.- Pregnancy after liver transplantation.- Rehabilitation after liver transplantation.- Palliative care in liver transplantation, when to consult a specialist.- Artificial liver treatment, when and which one?.- Liver auto-transplant.- The role of integrate medicine in liver failure and after liver transplantation.- Diet and exercise before and after liver transplantation.- Liver transplantation – medical home.- Section 9, the contemporary successful liver transplant program.- Regulatory agencies in transplantation.- Quality measure of a contemporary liver transplant program.- The role of transplant coordinators.- The finance of liver transplantation.- The role of the epidemiologist in a liver transplant program.- How to effectively run a contemporary liver transplant program in the third millennium in North America.- Liability of transplant programs in North America in the third millennium. Dr. Doria specializes in the following: Liver transplant, Live donor liver transplant, Kidney transplant, Live donor kidney transplant, Pancreas transplant, Multi organ transplant surgery. He dedicated his career to the study and treatment of patients liver diseases and has led the division of transplantation at the Jefferson University Hospital for the past 5 years. He has developed a "bloodless" technique to perform liver resections: by not using blood when he removes liver masses. Also, Dr. Doria is a pioneer in performing robotic assisted liver resection, a procedure that can be accomplished through a series of 9 mm holes.